With 200 years of experience in medical training, KSMU is justifiably an international University. Around 700 students from more than 57 countries around the world study here and half of them study in English. Moreover, we have a large group of students from neighboring and remote regions of Russia. We are proud that Kazan medical school is attractive for young people from different parts of the world. That is why our priority is support and care for international students. For most students choosing a university, it is the first important decision they make as adults, and it is one that shapes and influences both their present and future life. If you want to attend a foreign university, you would become part of a minority. However you would be given the opportunity to meet and make friends with other students from all over the world – both local students and other members of the university’s international population. You will learn how to deal with obvious challenges, like language barriers, and being far from home. But perhaps you would learn most from the more nuanced aspects of cultural differences – including academic ones as well as social ones. Picking one university to attend is a truly overwhelming choice for some. Among myriad schools all over the world, students and parents alike stress about choosing the right one. We present you the main information about Kazan State Medical University and admission for facilitate your choice. Only university in Kazan which is recognized by the Ministry of Healthcare & Ministry of Education and Science of the Russian Federation. Only university in Kazan, recognized by the WHO, listed in the World Directory of Medical Schools (AVICENNA Directory for Medicine). Only university in Kazan, recognized by ECFMG (USA). Only university in Kazan, recognized by leading medical councils viz. AMC, GMC, MCI etc. Kazan (Russian: Каза́нь; Tatar Cyrillic: Казан, Latin:Qazan) is the capital and largest city of the Republic of Tatarstan, Russia. It is a major industrial, commercial and cultural center and remains the most important cultural center of the Tatar culture. With a population of 1,143,535, it is the eighth most populous city in Russia. Kazan lies at the confluence of the Volga and Kazanka Rivers in European Russia. Kazan is located 793 Km east of Moscow. Kazan is a place where the East meets West. The origin of name Kazan is unclear. The literal translation of the word Qazan is «Boiler or Cauldron» . It is believed that the city of Kazan is named after this object and its geographical similarity with «Qazan-pan» ; namely the city is situated in U-shaped low land. The way from the capital of Russia, Moscow to Kazan takes 1 hour 20 minutes by plane and around 10 hours by train. People of different nationalities live in Kazan. Major religions in Kazan are Sunni Islam and Eastern Orthodoxy. You can hear speech of more than 100 different nationalities in Kazan. The official languages are Tatar and Russian. Kazan was founded in 1005. Despite of such venerable age, the city is growing and dynamically developing in all aspects. Since April 2009, Kazan has been granted the legal right to brand itself as the third capital of Russia. In 2004, Kazan was named the best city of Russia and became the winner of Russian public award «Russian National Olympus». With a rich history and culture, it is a host to number of monuments. The Kazan Kremlin (citadel) is a UNESCO World Heritage Site. Major monuments in the Kremlin are the 5-domed 6-columned Annunciation Cathedral (1561-62) and the mysterious leaning Soyembika Tower, named after the last queen of Kazan and regarded as the city’s most conspicuous landmark. Other structures of interest are: the towers and walls erected in the 16th and 17th centuries but later reconstructed; the Qol-Sharif mosque, which is already rebuilt inside the citadel; remains of the Saviour Monastery with the Spasskaya Tower; and the Governor’s House (1843-53, now the Palace of the President of Tatarstan. Kazan is a significant educational and cultural center of Russia.Kazan has traditionally been a university city and only Moscow and Saint Petersburg have more students. With 44 institutes of higher education, around 25 colleges including colleges for special training , 178 schools and over 50 schools for learning music, choreography, fine arts to name a few. Among them there is the Kazan Federal University founded in 1804 with the faculty composed of and including the world renowned scientist. Kazan offers education for every taste. There are lots of museums, libraries, concert halls, theaters in this city. Two renowned international festivals: the opera festival named after F.I. Shalyapin and the classical ballet festival named after R. Nuriev have been regularly held for a period of many years. In 2009, Kazan was chosen as «Sports Capital of Russia» and it is still referred to as such. Apart from being a home for Ice-Hockey Team «Ak Bars Kazan», it has a football team by the name of «Rubin Kazan». Few notable international events hosted by Kazan include — 2013 Summer Universiade, World Fencing Championships (2014), European Weightlifting Championships (2011 ), Bandy World Championship for men (2005 & 2011). Kazan is the host city for 2015 World Aquatics Championships, 2017 FIFA Confederations Cup and 2018 FIFA World Cup. Kazan is a city of Peace and Calm. The people of Kazan are noted for their affability, hospitality and religious tolerance. The best example of this is a Mosque and a Church standing next to each other in the Kazan Kremlin. Another example is temple of all religions.Kazan is one of the largest industrial and financial centers of Russia, and a leading city of the Volga economic region in construction and accumulated investment. The main industries of the city are: mechanical engineering, chemical, petrochemical, light and food industries. An innovative economy is represented by the largest IT-park in Russia which is one of the largest of its kind among Eastern Europe science parks. Kazan is connected by buses, railways, river port and an international airport. The public transport system is extensively developed and is used by large number of people for daily commuting. It consists of buses, trolleybuses, trams and metro(subways). Kazan has a humid continental climate with long cold winters and warm, often hot dry summers. The warmest month is July with daily mean temperature near 20.2 °C (68.4 °F), and the coldest month is January, with a daily mean of −10.4 °C (13.3 °F). In the XVIII century on the territory of modern Russia medical schools were established only in Moscow and St. Petersburg. On the 14th of May (2nd of May according to the old calendar) 1814 the first meeting of the Academic Council of the «Department of Doctoral or Medical sciences» of Kazan Imperial University was held, and on this day began the two century long history of KSMU. The founders of the Medical Faculty and of the first departments were anatomists I.O. Braun (the first elected rector of the University) and E.F. Aristov, physicians F.Kh. Erdman (the first Dean of the Medical Faculty), K.F. Fuchs, N.A. Skandovsky, surgeons P.A. Dubovitskii, F.O. Elacic, A.A. Kitter, obstetrician A.E. Lentovsky. The opening of the Anatomy Theater (1837), the University’s «old» clinic (1840) and of the Physiology Building (1890) played an important role in the development of Medical Faculty. In the 60-90s of XIX century in Kazan, several Scientific-Medical Schools of National and European level were established, they were associated with the names of famous scientists like anatomists P.F. Lesgaft, V.N. Tonkov, histologist K.A. Arnshtein, physiologists N.O. Kovalevsky, N.A. Mislavsky, A.F. Samoilov, biochemist A.Ya. Danilevsky, pharmacologists A.A. Sokolovsky, I.M. Dogel’, pathologists A.V. Petrov, N.V. Lyubimov, F.Ya. Chistovich, pathophysiologists V.V. Pashutin, I.G. Savchenko, therapists N.A. Vinogradov, N.I. Kotovschikov, A.N. Kazem-Bek, S.S. Zimnitskiy, surgeons L.L. Levshin, N.I. Studensky, an obstetrician-gynecologist N.N. Phenomenov, psychiatrist V.M. Bekhterev (on the picture), neurologist L.O. Darkshevich, ophthalmologist E.V. Adamyuk, hygienists A.I. Jacobi, I.P. Skvortsov, M.Ya. Kapustin. In the year 1900 a clinical campus of the Medical Faculty was built, it included 4 similarly designed buildings and a hospital church in the name of Varsonofev’. This event gave an impulse to the development of new Scientific-Clinical Schools: a dermatovenereologic one (founder A.G. Ge), a pediatric one (P.M. Argutinsky-Dolgoruky, V.K. Menshikov), an obstetric-gynecologic one (S.V. Gruzdev), a surgical one (V.I. Razumovsky). In the Soviet era the Scientific School of Kazan Medical University was further developed by distinguished scientistssuch as anatomist V.N. Ternovsky, histologist A.N. Mislavsky, physiologist A.V. Vishnevsky (on the picture), ophthalmologists V.V. Chirkovsky and A.P. Nesterov, neurologist L.I. Omorkov, hygienist V.V. Miloslavsky. Among the alumni of the Kazan Medical School are 38 Academicians and Associate Members of the Academy of Sciences and Academy of Medical Sciences of Russia. Among the world’s discoveries made by our graduates: the process of oxidative phosphorylation (V.A. Engelgardt), experimental proof of the involvement of mediators in interneuronal signal transmission (A.V. Kibyakov, 1933), the phenomenon of the scleral sinus blockade (A.P. Nesterov, 1985). Many prominent healthcare administrators and Ministers of Health of the USSR, Russian Federation and the Republic of Tatarstan are graduates of our University: N.A. Semashko, Z.P. Solov’ev, F.G. Mukhamedyarov, S.V. Kurashov, I.Z. Mukhutdinov, A.D. Tsaregorodov, R.U. Khabriev, K.Sh. Ziyatdinov, A.Z. Farrakhov. 14th May 2014 — 200th Jubilee. ADMISSIONS FOR THE ACADEMIC YEAR BEGINNING ON 1ST OF SEPTEMBER COMMENCE IN 15 JUNE. ADMISSIONS TO KSMU ARE STRICTLY BASED ON MERIT. ADMISSION IS A MULTISTAGE PROCESS. PLEASE READ THE ELIGIBILITY CRITERIA AND ADMISSION PROCEDURE BELOW. Successful completion of higher secondary school. Completion of tertiary education in case applying for Post-Graduate Education. Minimum requirement is an average of 70% marks in higher secondary school including English. A proof of English language training may be required. Guarantee for fulfillment of payment conditions. Admission Procedure: A prospective student can apply online as instructed below or through one of our partners. Step 2: Fill in the application form accurately. – Scanned copy of marks (grades) of completion of higher secondary education / tertiary education. – Scanned copy of your Passport. Step 4: Provisional Admission. After fulfilling all the conditions and upon acceptance you will be provided with a provisional admission letter (in electronic format) upon request. Step 5: Confirmed Admission. As soon as your visa invitation will be ready, we will mail you your visa invitation. You can also do a prepaid order of express courier. Step 6: After you receive the visa invitation, stamp your visa in the Embassy (Consulate) of Russian Federation. More information on visa and registration. Step 7: Welcome to Kazan, Russia. Note: Apart from the above mentioned rules, we have a set of country specific rules for every country. 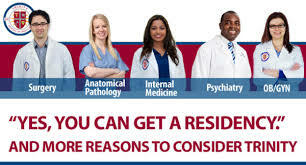 KSMU provides medical specialist training (PG) in several specialties and sub-specialties. Foreign Medical Graduates must obtain an equivalence certificate from the ROSOBRNADZOR. In order to get admission to PG course, the candidate should apply to KSMU directly as mentioned below or through one of our partners. More information on PG courses. Admissions for the PG courses beginning on 1st of September commence in May. Admissions to KSMU are strictly based on merit. Admission is a multistage process. Please read the eligibility criteria and admission procedure below. Successful completion of tertiary education. A proof of Russian language training is required. Step 1: Open the application form here. – Scanned copy of Degree certificate with transcript of marks. 2. Hostel Fees is currently 11970 RUB (approx. 200 USD) per year. Hostel fee typically increases by 5-7% per year according to the current prices for electricity, gas, water, heating, etc. 3. Medical Insurance fee is currently 6500 RUB (approx. 100 USD) per year. It can increase by 3-5% per year according to the annual rate of inflation. Russian study visa is issued only for students who come to Russia for exchange or education (full-time or part time study, language courses, individual language or research training). This is the best kind of visa, but only applicants who were accepted and plan to study at a Russian university, school or another educational institution are eligible to apply for it. If you are thinking about studying in KSMU, you must submit all required information to KSMU, and the Centre of International Education and Cooperation (CIEC) will take care of the paperwork (read more). CIEC of KSMU is responsible for arranging the invitation form to you. CIEC will submit all your data to the immigration officials and have your student invitation form ready in about 2 to 6 weeks. After that CIEC will send you the visa invitation by post or by fax. This invitation form is the document which proves the purpose of your visit and study in Russian Federation. With the visa invitation you can get your study visa stamped in Russian Embassy/Consulate. Usually, the study visa is extended for the entire study period. As such, with the university’s invitation, students can apply for and obtain a single-entry study visa which can be renewed for the entire study period upon arrival to Kazan. Remember, It’s your responsibility to apply for the correct visa in your country before leaving home! KSMU is only responsible for correct visa invitation ! ATTENTION !!! INVITATION LETTER IS NOT YOUR RUSSIAN VISA ! According to the Russian law passports of all foreign citizens regardless of visa type are subject to registration.Your Russian visa must be registered within 72 hours upon your arrival (excluding weekends and holidays). If you arrive on a Saturday, Sunday or holiday, your visa must be registered on the first working day after your arrival. During first three days after your coming (better do it on the first day) you must visit the Center of International Education and Cooperation (CIEC) of Kazan State Medical University with your passport, Russian visa and migration card (was recieved in airplane). Afterwards the KSMU Admissions Office staff will provide passport registration assistance in Department of Internal Affairs to individuals who entered the country on a student visa obtained through an invitation from Kazan State University. If you are staying at a hotel, the hotel will register your visa. A small registration fee can be assessed. If you stay at a private apartment, your visa must be registered by your landlord. Please have the landlord apply at the local police precinct (in Moscow) or FMS office (commonly known as OVIR) in other cities. He will need to fill out a notification form indicating your passport and migration card details. A landlord can also send notification form by registered mail to the postal address of the local police precinct/FMS office. Please note that not registering your Russian visa may lead to serious problems: detention by police, fines on departure, prevention from boarding the plane, etc. We strongly advise you to come to CIEC of KSMU on the first day after your coming to Russia to register your Russian visa to avoid possible consequences. According to the visa regulations in Russia, all foreigners complete special migration cards, which they will obtain when crossing the Russian border. The migration card contains personal data, term of stay in Russia, purpose of visit and the intended place of residence. All visitors are required to present this card to the university in order to complete migration paperwork. Foreign visitors are required to fill in the name and address of the inviting company. It is illegal to stay in Russia longer than three days without registering the visa at the address of residence. Thus, visitors now need to make sure to have the full name and address of the company that obtained their visa support letter (invitation) upon arrival to Russia. This information is included in the visa support documents. Visitors should copy it down for further reference. Russia has been a destination for foreign students from the times of the Soviet Union (USSR). 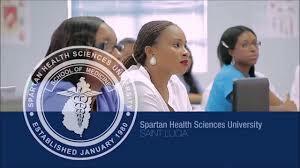 Since then, KSMU was one of the medical schools from which foreign students were graduating in ample amounts. Currently, 450 students from 46 countries are studying in KSMU. More than 500 our foreign medical graduates and 200 Post graduates and Fellows currently success fully working all over the world, which explain the popularity of KSMU among foreigners. For the Russian students the language of instruction is Russian, but foreign students can choose between Russian and English medium. Academic year: Each academic year begins on 1st of September.